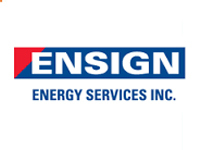 Ensign is a global enterprise that provides a unique edge in oilfield service. We are defined by our inspired thinking; our innovative use of technology; our confident, dedicated, well-trained workforce; and our culture of achievement. We are built to serve. We deliver a superior customer experience and trusted, reliable performance. We are among the world’s strongest, fastest-growing energy services companies. Ensign is equipped with industry leading technology and empowered by a culture of innovation and action. Our people–more than 8,000 strong-are united in a commitment to service. We are able to deliver safety and excellence to our customers where they need us, when they need us.